New Rewards Program: Huddle Up P’s Pizza Lovers! 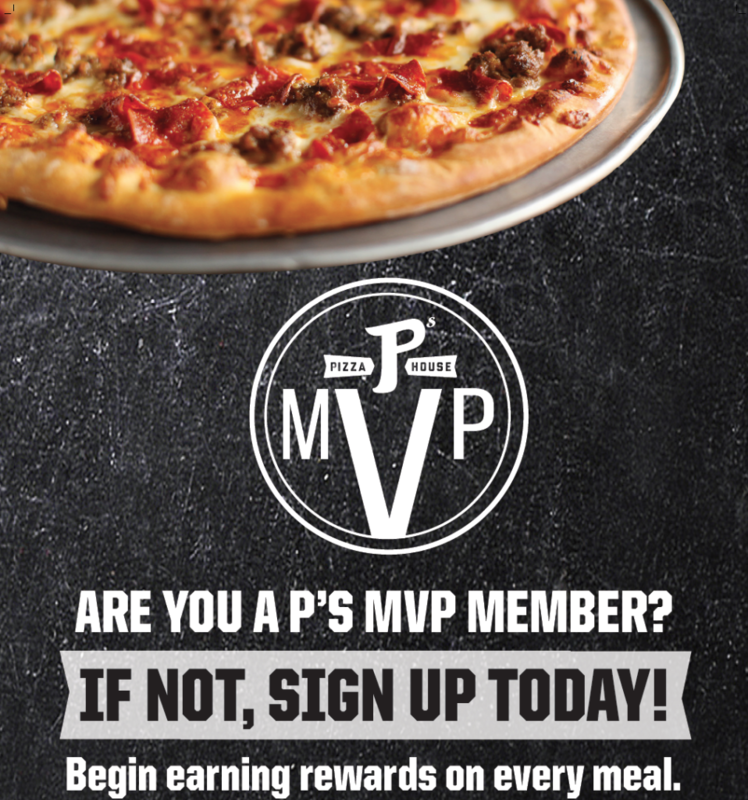 Sign up today to become a P’s MVP Member and start earning FREE FOOD! NEW MEMBERS will receive 100 free points just for signing up! If you’re a CURRENT MEMBER of our old P’s MVP reward program, we’ll transfer your points over to the new program AND we’ll give you 200 free points. This may take a couple weeks, so watch your email for your $10 codes. So get in the game and SCORE FREE FOOD while you enjoy great food at P’s!